On 4 Jan 2011, SCABLE already break up bolinger band squeeze. 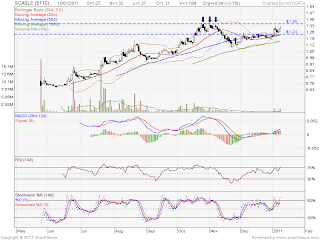 It do retrace down & retest support level. Today 10 Jan 2011, seem like hugging bolinger upper band. 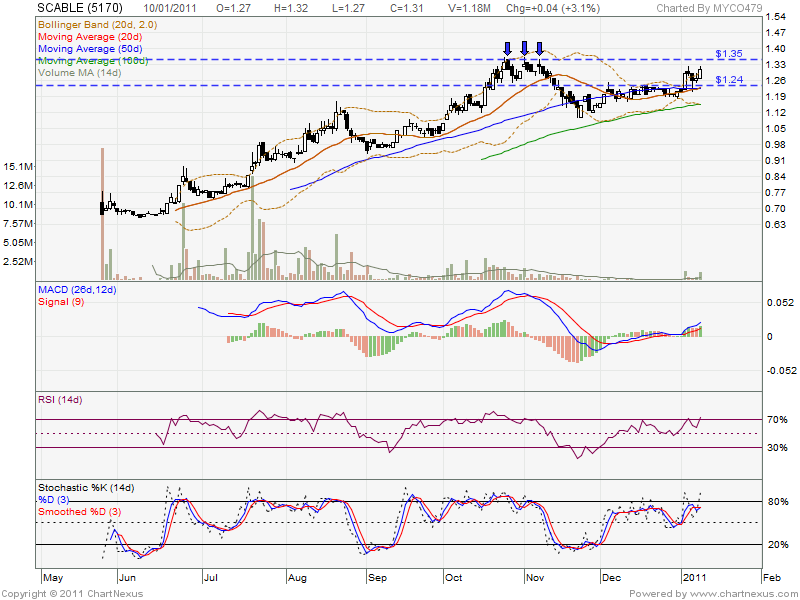 However, if retrace down, may look for RM1.24 support level.